Slovakia. Bratislava. 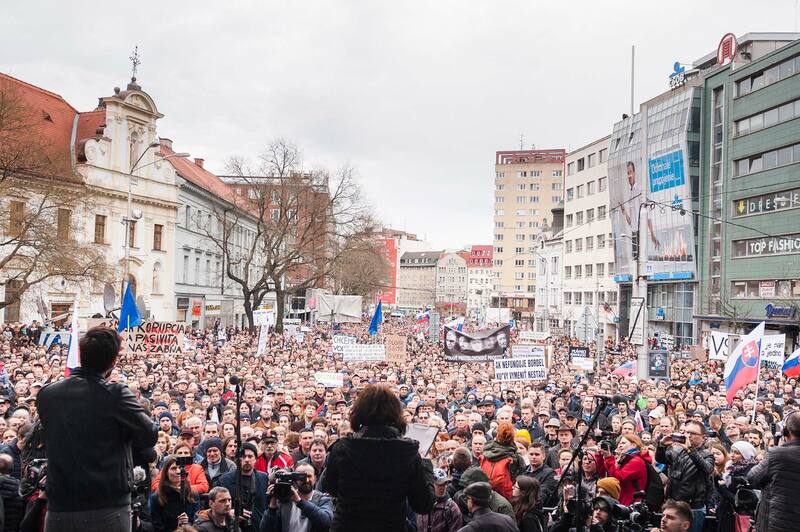 Protests against the police and the government organized by students of Political Science at Bratislava University. The student comitee and organizers Karolína Farská and Juraj Seliga speak to the crowd.